Be extra cautious out on the roads if you have to drive in the eastern sections of the country. 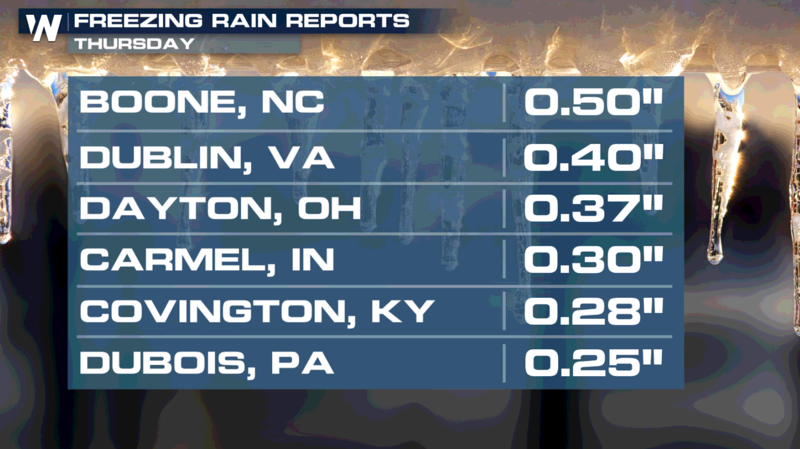 Snow has accumulated from the Appalachians into the Northeast, while parts of the Southeast and Ohio Valley saw freezing rain and sleet. 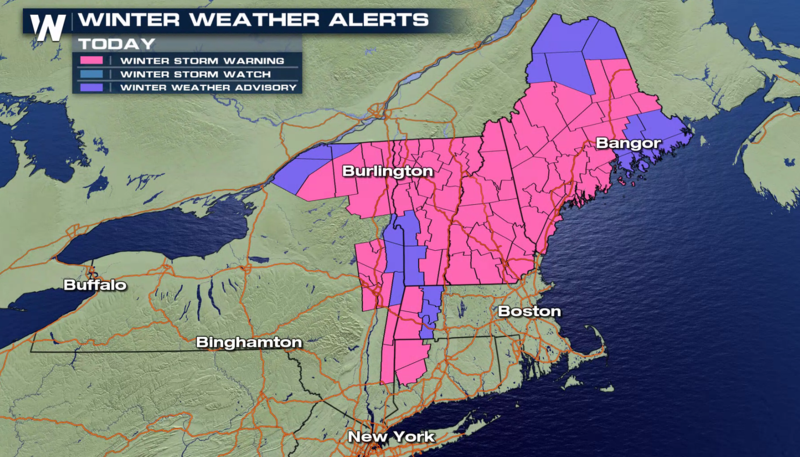 Heavy snow is still falling in New England, where winter weather alerts are in effect. FRIDAY FUN – In today's installment of MAN Vs. 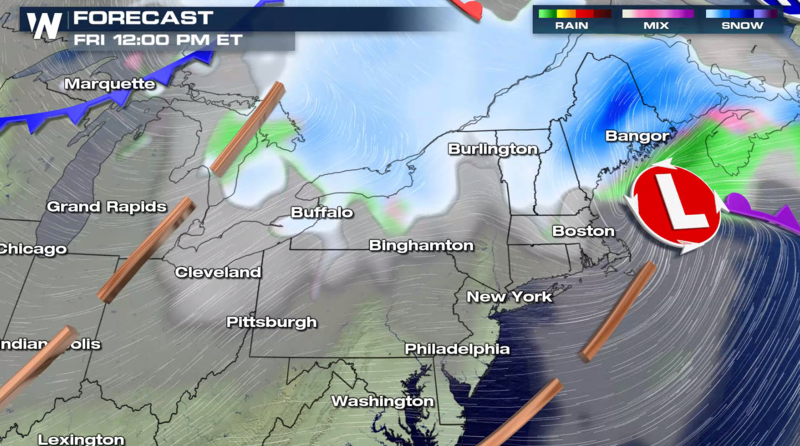 WEATHER, we have the nation's first major snowstorm of the season against drivers living in the Northeast. Let's see how they did! 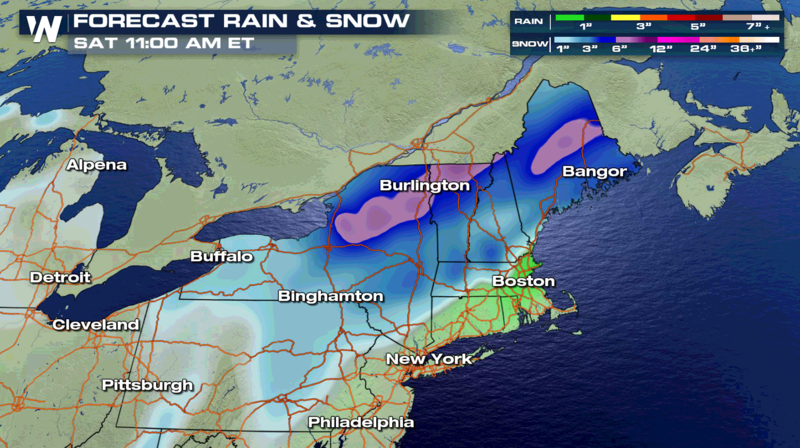 The heaviest snow has moved away from the coast and is expected to fall throughout northern New England. An additional 4″ to 8″ may accumulate in the warning areas by this weekend. 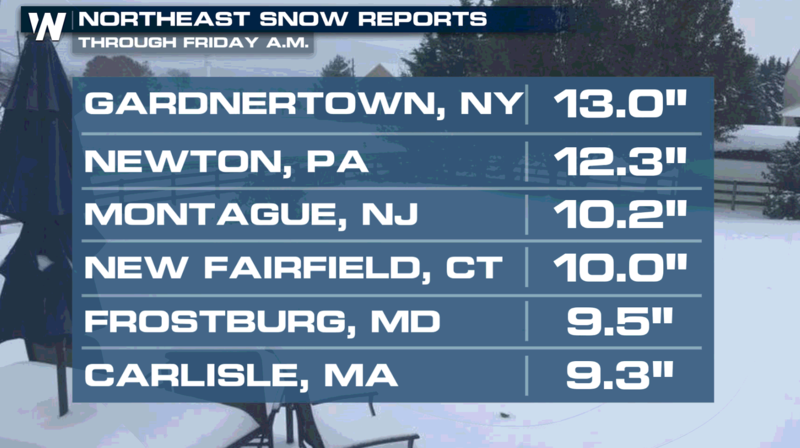 Some areas have seen more than a foot of snow from the storm. 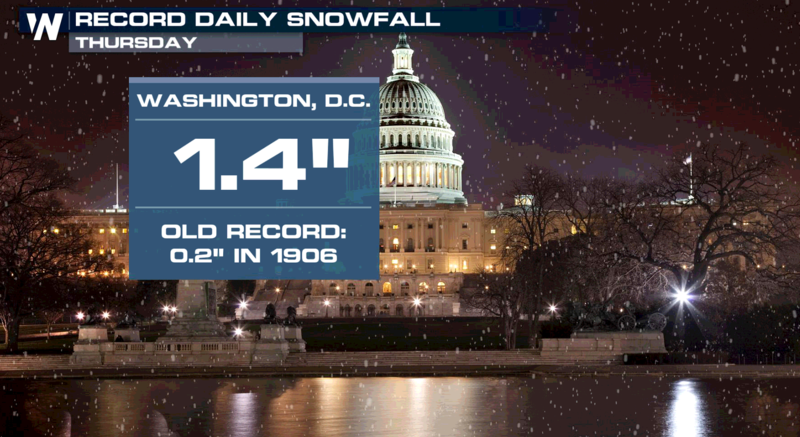 Several cities set daily snowfall records, with New York City breaking a November monthly record. 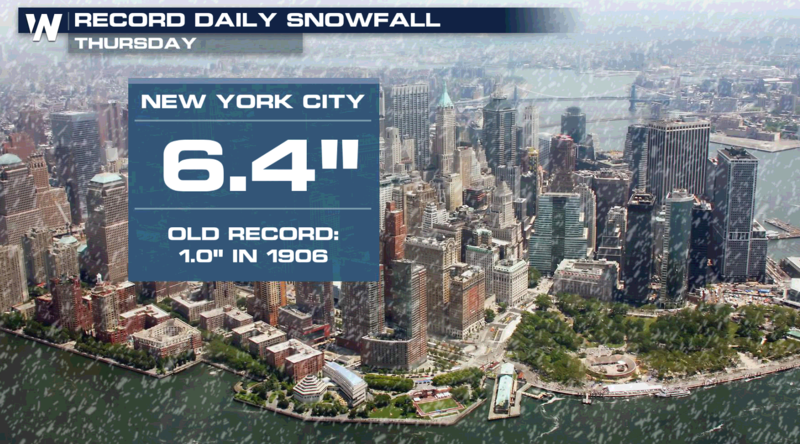 More than 6″ of snow accumulated at Central Park, with the previous November record at 5″. The low pressure continues to push up the Eastern Seaboard, bringing significant moisture from the Atlantic Ocean. 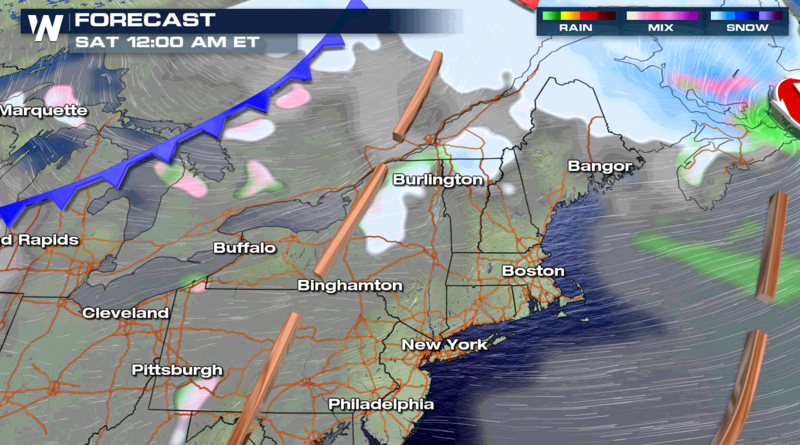 This will result in heavy accumulations of snow for New England, especially in the higher elevations. Some areas will get close to a foot of snow. 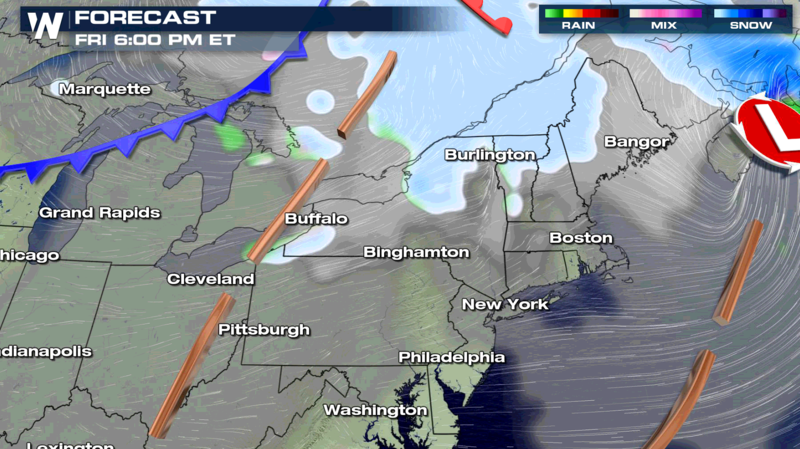 Lingering snow showers are still possible Saturday, although the heavy snow will have ended. 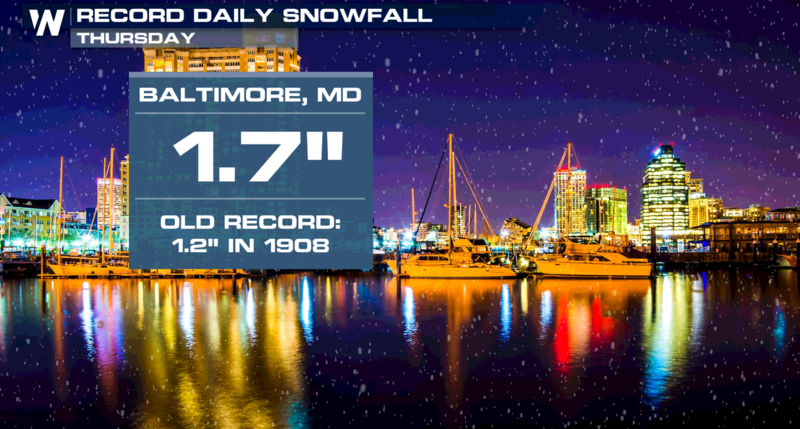 Stay with WeatherNation on-air and online as we track this storm system.